No dog enjoys the experience of visiting the vet. You can hardly blame your poor pet for this; their experience tells them to associate a trip to the dog doctor will result in a wide variety of prods, pokes and possibly worse. All the same, part of being a responsible pet parent is training your dog to stay calm throughout an appointment. Vets may be used to aggression and being bitten by unruly dogs, but that doesn’t mean that you should add to their woes by allowing your dog to act out. This guide will discuss the reasons why your dog may grow distressed at the very idea of a session with their vet, and how you can prevent them from having a meltdown on the vet’s table. 1 Why is My Dog So Scared of the Vet? 1.1 My Dog Hates the Vet – Should I Avoid Taking Them? 1.2 My Dog Freaks Out at the Vets – What Should I Do? 1.3 Should I Sedate My Dog for Every Vet Appointment? 1.7 My Dog Bit the Vet – What Happens Now? Why is My Dog So Scared of the Vet? The reason for this is simple – association, and the fear of being hurt. Do you remember being a child and being terrified of the dentist? Heading to the vet is a similar experience for Fido. They don’t quite understand what is happening to them and see and hear a variety of strange sights and sounds. Of course, it doesn’t help that other nervous canines will surround your dog in the vet’s waiting room. Pop a whole bunch of hounds together in a room, and you can be sure that they’ll feed on each other’s energy, and that means that they’ll be winding one another up the whole time. Bad Experiences. Is your pet a rescue dog? If so, you have no idea about what may have occurred in their past, including unpleasant, painful experiences at the vet. Likewise, your dog may have been hurt as a puppy by a microchip needle making them bleed or a nail trim that has gone wrong, for example, or they may have grown unwell early in their lives and found it frightening. The same may also apply to a dog has separation anxiety and was forced to spend a night apart from you at an early age after being spayed or neutered. You are Tense! As we have already stated, dogs pick up on the energies and sensations around them. If you are nervous and tense about the fact that you need to take them to the vet and you’re worried that they will misbehave while they are there, your pet will quickly replicate that anxiety. The Vet’s Office Smells of Sickness. Have you ever noticed that when you wander into a hospital, there’s a very distinct smell of cleaning products? That’s to cover the many and varied aromas that sick humans carry, and all the cleaning products in the world won’t be potent enough to mask the scent of sickness for a dog’s sensitive nose. Quite understandably, this will make them hugely nervous to be around. Your Dog is Sick. You may be taking your dog to the vet for something innocuous such as a weigh-in or a vaccination boost, but it may be equally possible that your dog is seriously under the weather with a worrying sickness. This will make your dog anxious and nervous as they will feel that something is wrong, but they’re not quite sure what. Strange surroundings will only magnify that fear. Not Enough Other Stimulation. If your dog only gets taken out for a long walk or gets to ride in the car when they have an appointment with the vet, they will naturally associate the experience with something negative. Your dog may even think they are being punished, and not understand what they have done wrong. Ensure that your dog’s days are filled with entertainment and other forms of stimulation to prevent any time outside being associated with the vet. The most important thing to remember is that a dog that is afraid of the vet will require patience, understanding, and kindness. Scolding your dog and dragging them to the vet against their will only enhance this sense of terror. Whatever approach you take, it should be one built around compassion. My Dog Hates the Vet – Should I Avoid Taking Them? 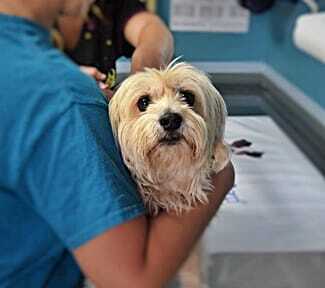 If your dog needs medical attention, only a vet can provide it. Dr. Google is all well and good, and you will find all kinds of medical and healthcare advice on this very website, but there is no substitute for a professional. 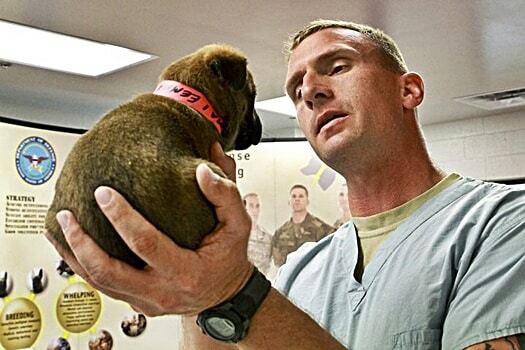 No matter how afraid your dog may be of the vet, they will need to visit them from time to time. Fingers crossed your pet will never end up with a serious health concern that requires surgery, but they will need to be vaccinated at least once a year, and you will want to have a variety of minor ailments looked at from time to time. In many respects, taking your dog to the vet with regularity may be a good thing. Think of it as exposure therapy, which PetHelpful have a great deal of useful information about. The more trips to the vet that your dog makes, especially ones that do not end with a painful or worrying experience, the less anxiety they will feel about the idea. It may even be worth asking your vet if they can spare two minutes to bring your dog in for no reason other than a fuss and a treat from time to time, thus teaching Fido that a vet is a friendly face that has their best interests at heart. My Dog Freaks Out at the Vets – What Should I Do? If your dog has a long-standing phobia of the vet, there are a handful of things you can do to make the experience as bearable as possible. Take Your Dog for a Long Walk Beforehand. There’s a simple logic at play here – the more contentedly exhausted your dog is, the less likely they are to have the energy for a meltdown at the vet. Let them burn out all that nervous energy before you go. Book an Early or Late Appointment. If you can get the first or last meeting of the day, your dog is less likely to be surrounded by other canines in the waiting room. This, in turn, means that they are less likely to be freaked out by all their new dog chums! Keep Offering Reassurance. Sure, you have your own stuff to deal with – and maybe even your own worries, if the appointment is for a health scare. However, you owe it to your pet to stay calm and keep offering them reassurance. Speak to them regularly in a low, soothing voice accompanied by gentle strokes. Use Some Calming Methods. Offer your dog a calming medication from the pet store, some Rescue Remedy that you can pick up from a drugstore (check the appropriate dosage for your dog’s size first), or rub some calming essential oils onto their skin. Lavender, sweet orange and ylang-ylang are popular examples of these. You could also dress your dog in a Thundershirt if allowed to do so, though obviously, you’ll have to remove this garment while your vet is completing an examination. That could magnify your pet’s anxiety at the moment, and end up doing more harm than good! Distract Your Dog. Whatever your dog is driven by, use it to your advantage. If your pooch is food-focused, keep providing small treats while the vet is doing their work. If your pet loves to play, try getting them to do some tricks such as rolling over or standing up for the vet. Asking the vet to provide the treats or give the commands may also help strengthen the bond between them and your dog. Change Vet. This is the last resort, but if your dog doesn’t like their vet, there could be a reason for this. If they react the same way to every possible vet and nurse within the surgery, it could be something to do with the place itself – perhaps there is a smell or sound that acts as a trigger for your dog’s anxiety. Attempt an appointment with a different vet and see if that helps. There is no permanent solution to prevent a dog from being afraid of visiting the vet. Sadly, for many canines, it’s just a fact of life – and it’s wholly understandable. Remember that childhood dentist phobia analogy, which still impacts upon a great many adults! All you can do as a pooch parent is do whatever you can to make the experience as bearable as possible each time – and look after your dog’s health as best you can, to make vet appointments a rarity. Should I Sedate My Dog for Every Vet Appointment? No. Not only is this dangerous (every time you put a dog to sleep using anesthetic you are putting their little bodies through a lot, and it may take them a few days afterward to get back to their usual selves) but it could be counter-productive – your vet may well need your dog awake and alert to test their reactions. Keep your dog calm, by all means, and distract them if necessary. Just don’t fall back on the idea of an anesthetic every time you need to indulge in something a little awkward, as that is an unsustainable approach in the longer term. Getting through the appointment with a vet can sometimes only be half the battle – some canines are felt feeling traumatized once you bring them home again. This may be due to a residual fear; they could be feeling sore and pained after being prodded and poked, or maybe its just exhaustion from all the worry and mental energy that was exerted during the visit. Alternatively, your dog may just not be talking to you! 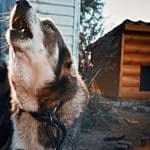 PetMD has some detailed advice on how to care for a pet that is emotionally traumatized, but that article largely revolves around long-term issues from a dog that has endured mistreatment or neglect. In terms of cheering you dog up once they’ve been to the vet, plenty of treats and allowing them the run of the house should be sufficient. Don’t crowd your dog in this situation. You may be tempted to offer them plenty of cuddles in an attempt at reassurance, but it’s possible that your pet wants to be alone for a while to process what they’ve been through. Ultimately, it all comes down to giving your dog a choice – allow them to process their feelings about their vet visit in their own way, and be supportive when they are ready to approach you again. If you’re wondering how to handle a difficult dog throughout their check-up, here are some pointers. Tell the Vet. You would not allow a stranger to approach your aggressive dog without advance warning, so you should extend your vet the same courtesy. It doesn’t matter if your dog is an Alsatian or a Chihuahua – aggression is a universal language that transcends breeds. Muzzle Train Your Dog. If your dog is going to need to wear a muzzle while being assessed by the vet, you should get them used to the idea at home first. You’ll just be making a scary situation even more frightening if you introduce this new wrinkle once you reach the vet’s surgery. Coach them into wearing their muzzle, potentially be adding some lickable treats like peanut butter to tip. Don’t Keep Your Dog Waiting. If you can, bring somebody with you and have them wait outside with your dog until the vet calls their name, distracting them from what is about to occur. Then, take them in rush them out the moment the appointment is done – leave your dog with your friend, then head back in to pay your bill and make any follow-up appointments. The less time your dog spends around the vet, the less likely they are to act out. Perhaps the most important thing, however, as is so often the case with anything about dog behavior, is to stay calm. The moment you start to panic at any signs of your dog’s aggression, they will ramp it up a few notches as their fear magnifies. Keep it zen, for your dog’s sake and that of the vet! As we have established, a dog may attempt to bite a vet or nurse – that’s nothing new for any experienced animal healthcare provider. However, it doesn’t mean that you can explain that your dog may bite and leave them to it. It’s vital that you understand the warning signs of canine aggression towards strangers and do what you can to diffuse the situation before it escalates. Frantic Tail Wagging. This can be a slightly baffling one, as a wagging tail is usually a sign of contentment. However, if your pet’s tail is at half-mast and the wag is jittery rather than waving, it could mean that they are uncertain and agitated. If you need more insights into dog body language, check out our guide to whether a dog tail between their legs means they’re sick, which also contains a raft of insights into what tail positions mean. Stiff Body with Hackles Raised and Staring. When a dog is relaxed and contented, that is represented in their body language; they’re generally supple and flexible. If a dog is afraid and preparing themselves for a possible fight, however, they will become as stiff as a board. The hairs on the back of their neck will also start to stand up, and you will see every inch of the whites of their eyes. 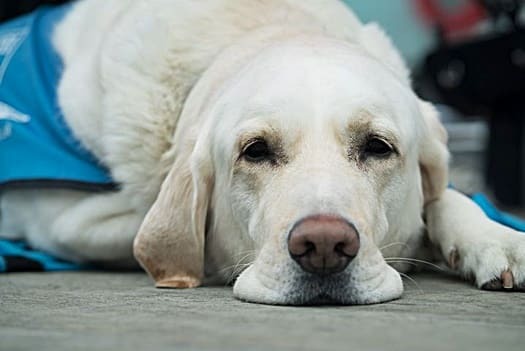 That adorable, half-asleep look that you love so much will not work for your dog in these instances; if they think that they will have to bite somebody or something, a canine will stare intently and refuse to tear their eyes away from them. Growling and Baring Teeth. Sometimes subtlety doesn’t cut it, and your dog will pull out the big guns. That means showing their teeth and growling in a low, deep rumble (you’ll very clearly be able to distinguish this from the frisky growl you hear when playing) that is dog language for, “back off, this is your last warning.” Failure to heed this threat almost immediately will frequently result in a bite. However, that doesn’t answer the question as to why your dog seems so determined to sink their teeth into a vet or nurse’s hand or arm. The simple answer to this is fear. We have already established that your dog will likely be hugely nervous about the very idea of being taken to the vet, and that will result in them behaving aggressively. Biting is always very much a last resort, but your canine may end up doing so if they feel that their body language and subtle cues are being ignored. 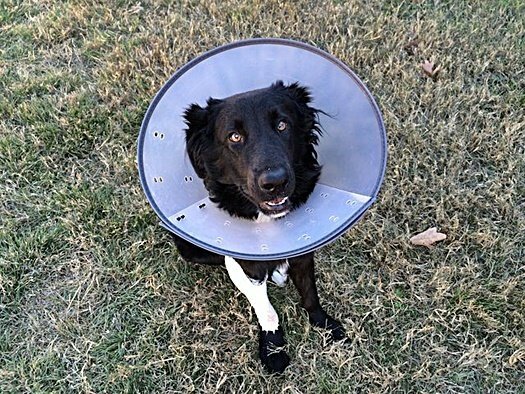 My Dog Bit the Vet – What Happens Now? 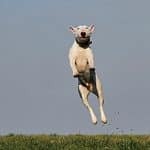 OK, so the worst has happened – your dog has bitten the vet. The good news is that, as embarrassing as this may be for you (and as painful as it may be for the vet! ), it’s not the end of the world. Unlike attacking a stranger, which could result in your dog being reported to the authorities and all kinds of unpleasant repercussions, your vet will accept this as an occupational hazard. How the vet reacts is down to them. 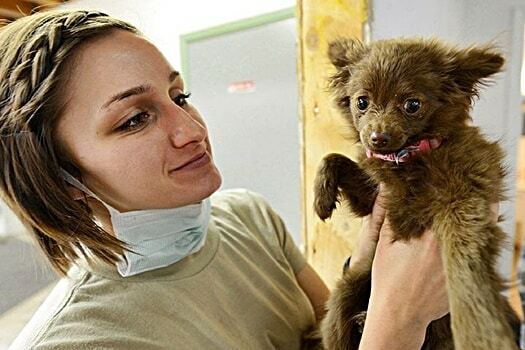 They may decide that they do not wish to treat your dog any further and ask you to leave and seek medical attention elsewhere, or as is more likely, they’ll shrug their shoulders, clean up the bite wound and try again. 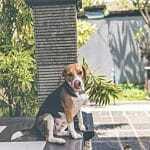 The law dictates that your vet is considered the owner of your pet while Fido is in the care of a medical practice, and that they understand the risks inherent in working with animals and choose to proceed accordingly, so you will not be at risk of legal action as a result of the bite unless the circumstances were exceptional. Examples of these exceptional circumstances could including your dog being particularly aggressive and you not warning the vet in advance, or that your pet is knowingly carrying a contagious disease and you did not inform the vet and their staff in advance so that they could take the necessary safety precautions. All of this will typically be discussed ahead of making an appointment though, so unless you are willfully withholding information or supplying false data you will have nothing to worry about! A phobia of the vet is a common problem for a great many dog owners, and there isn’t a one-size-fits-all approach to putting a stop to this wholly rational fear. After all, humans are still prone to getting butterflies every time we need to visit a hospital, even if it’s just for some tests, and dogs struggle to process their emotions and feelings in quite the same way. If you make use of the techniques that we have outlined in this article you should at least be able to make the best of a difficult situation, and do whatever you can to keep your dog calm in the face of panicky provocation. It may be a matter of trial and error, but tackle whatever it takes to prevent your pet from struggling with the unpleasant but necessary reality of visiting the dog doctor. There is no way around the necessity to take your pooch to a professional from time to time, so it’s advisable to make the experience as bearable as you possibly can.